If you ever come to my place, you'll be surprised with my collection of mask sheets inside my fridge! Yes, I keep all of my mask sheets (and sleeping mask! )in the fridge because I always enjoy the cooling sensation whenever I apply those mask sheets onto my face. 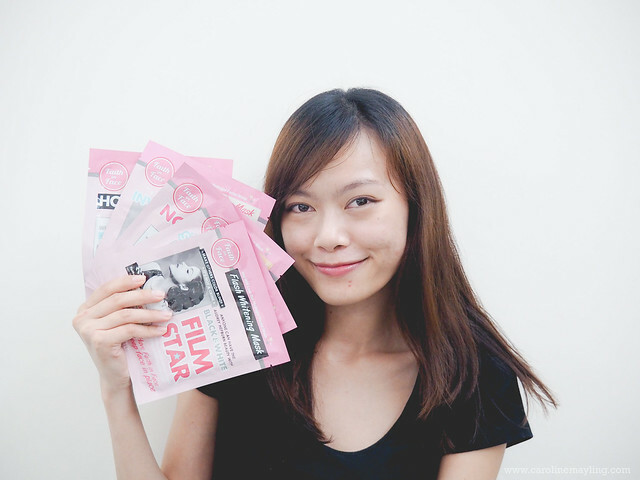 Here's the new addition to my mask sheets - Faith in Face Hydrogel mask sheets! Let's talk about the product first! I bet it's really hard to ignore how retro and vintage-y the packaging is! Frankly, I actually thought Soap and Glory launched a new product. But heck, it's Faith in Face, originated from the land of beauty experts, Korea! They are slightly heavy compared to other paper mask sheets though, due to its gel-like texture mask sheet. Similarly to other types of mask sheets application, all you need to do is to ensure you cleanse your face thoroughly before applying the hydrogel mask sheet onto your dry, clean face. 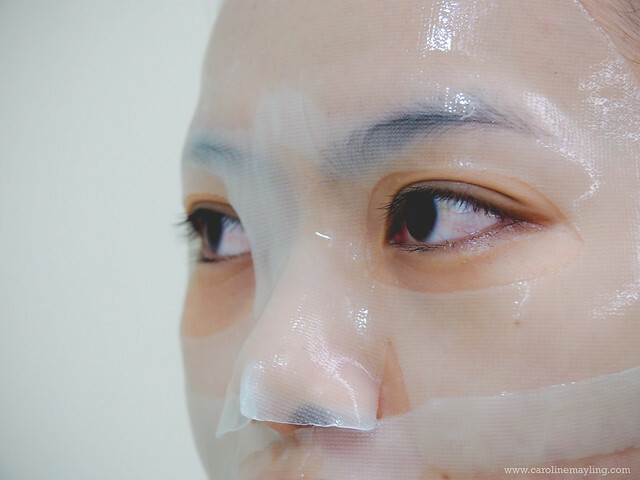 Unlike the usual mask sheets, Faith in Face hydrogel mask sheets comes in two sheets (upper and lower part of the face) that allow better fitting on our face. Each mask sheet has protective film from both side of the mask which I personally think it is another plus point because that way essence is well kept in the mask sheet. Though, I do find it slightly tricky to take it off from the protective film due to its gel-like texture and stickiness. Do not worry about which side of the mask sheet to be applied to your face because both sides of the mask are equally effective. If the patterned side causes any discomfort, simply switch to the smooth side. 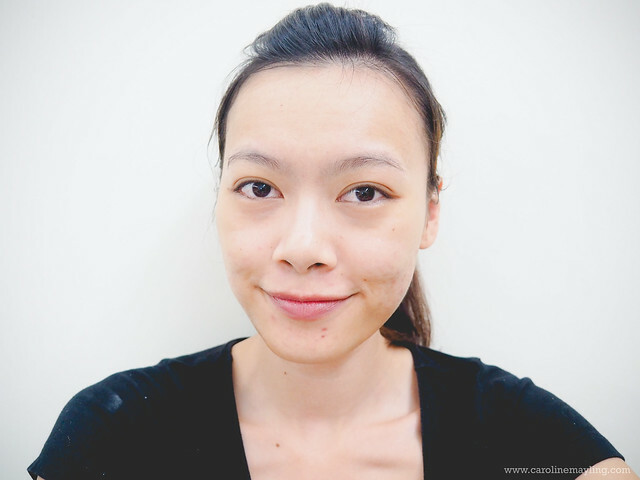 I really love the fact that it fits my face shape better as well as how it "hugged" my skin tightly whenever I use them! This way also allow the essence to penetrates the skin better too! After 30 minutes, you can remove the mask sheet from your face and gently massage your face to help the remaining essence to absorb into your skin. Don't you just love a slight radiant and glowing-from-within effect after each hydrogel mask sheet application?! I also love how smooth and supple my skin feels after each application. You can also apply this before you apply your make-up, you would be surprised how amazing your makeup look like after pampered your skin! Smooth and no dry patchiness, and simply flawless! I've tried ALL of them and love all of them, especially Invisible Pore and Hold Me Tight! Some might think it's a tad pricey, but come to think of it, these are hydrogel mask that comes with great benefit, you can definitely see the good result with regular use. If you ask me, they are pretty reasonable and worth every penny! *Priced at RM11.90 inclusive of gst at Watsons! Here's something for My Stories readers! 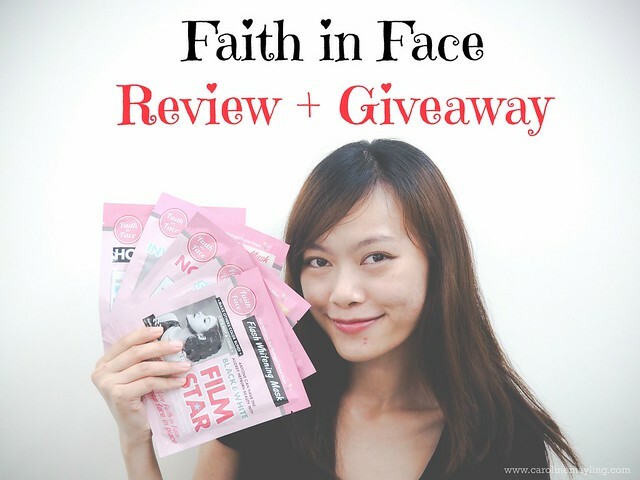 I'm giving away 3 sets of Faith in Face hydrogel mask sheets (After Shower Look, Nourish Me, Invisible Pore, Hold Me Tight and Black & White Film Star) to 3 lucky readers! I am a total sucker when it comes to pretty packaging! 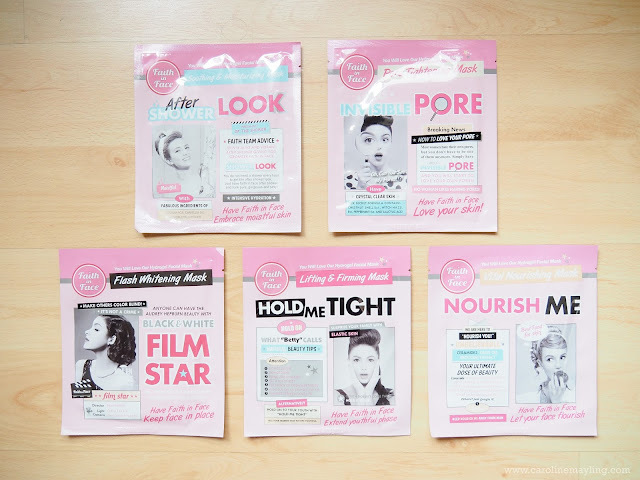 I was completely sold the second I saw Faith in Face hydrogel mask sheets in stores but didn't test it myself as I have a very sensitive skin. But since there is a giveaway now, I hope to win them so I can test these beautiful goodies hehe. *fingercross* hopefully I'm one of the lucky ones. I want to have a smooth skin and I love mask. I am always looking to find new beauty products that work for me! I want!! I want!!! I also have many mask in..... my room (not in the fridge la. HHAAHA).